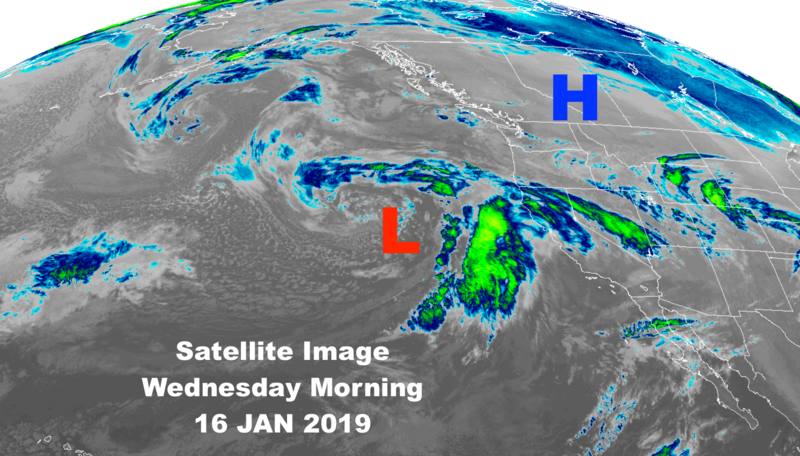 A Low pressure center on the West Coast has been spinning moisture over both Northern & Southern California the last couple of days. Now it is rotating some of that moisture inland in a stronger Southwesterly flow aloft. That Low is helping to break down the High pressure that has been parked over the interior of the Western U.S. for the last week. 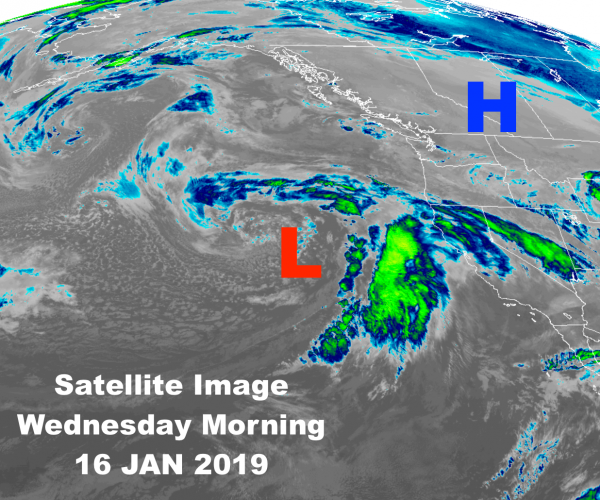 As this Low-pressure moves inland today (Wednesday) & Thursday it will weaken and be followed by a Ridge of High pressure that will build over the far Western U.S. by later Friday & for Saturday. 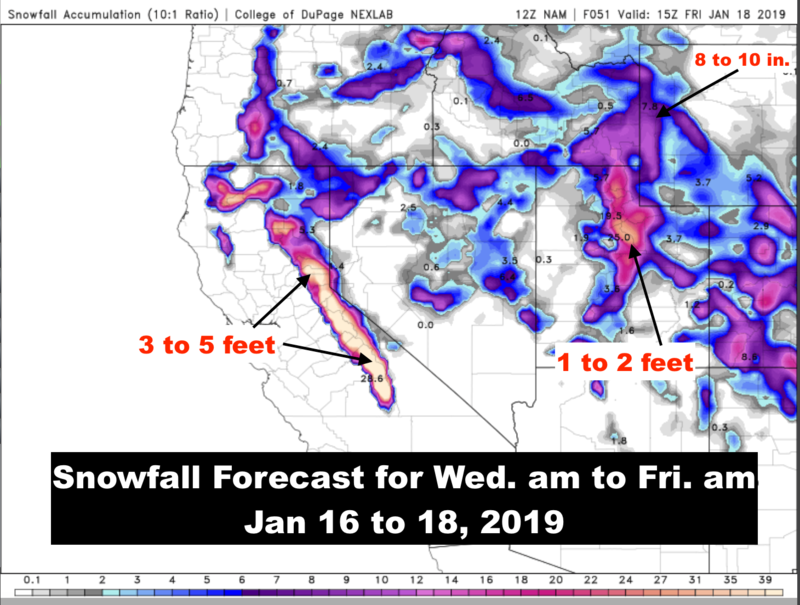 The Sierra Nevada Mountains will benefit the most from this storm the next two days. Maps below are from two different computer models, showing 3 to 5 feet of snow accumulation between Wednesday morning and Friday morning (Jan. 16 to 18). 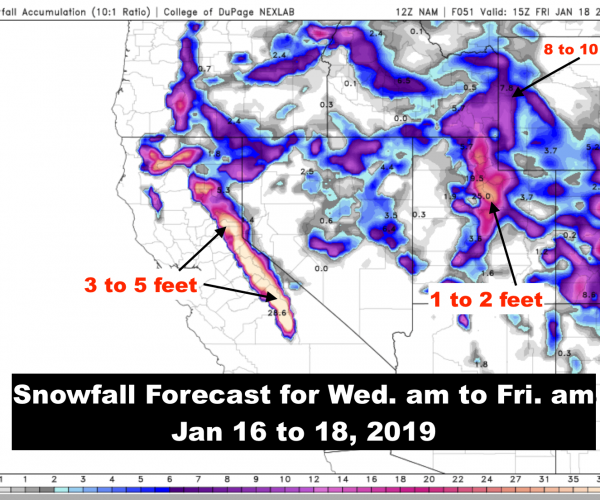 Sierra Nevada Range will accumulate 3 to 5+ feet. Wasatch mountains of Utah could see 1 to 2 feet. 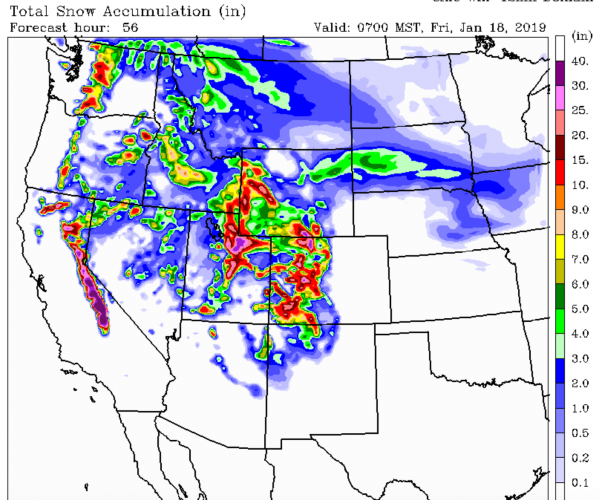 Teton Range looks to pick up 8 to 10 inches. San Juan mountains in Colorado 8 to 12 inches possible. NAM model from COD NexLab. 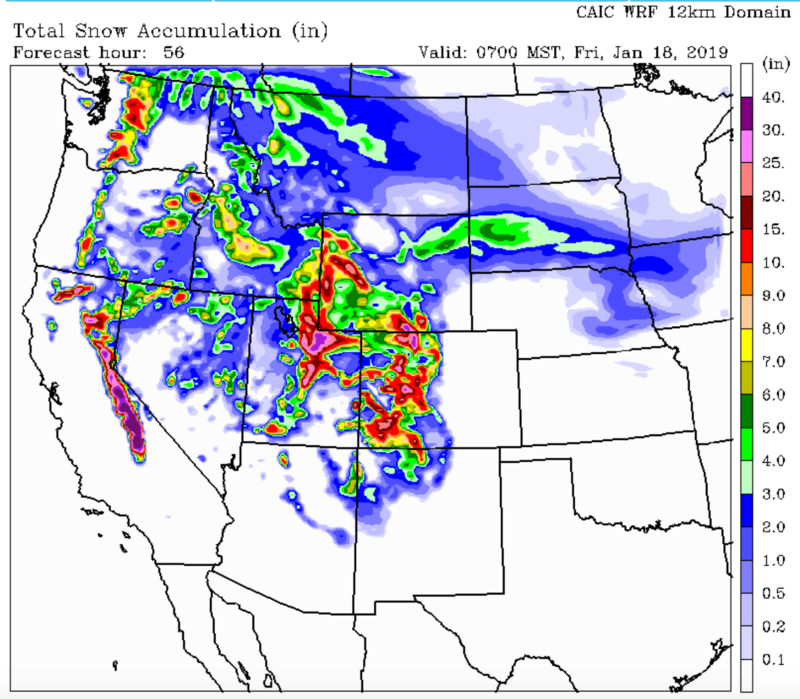 Another snowfall forecast model below, from the CAIC in Colorado shows a similar picture, for roughly the same time period, Wednesday to Friday morning. This one might have a little more in certain places than than the NAM. Good timing for Skiing & Boarding just ahead of the Martin Luther King Weekend!